The dengue cases reported were 16,870 in 2016, while this year in the same time period the number rose to 28,702. The mosquito scare is taking over the country again. According to the Directorate of National Vector Borne Disease Control Programme (NVBDCP), this year the nation has seen 11,832 more cases of dengue compared to last year (2016), and the number of deaths from the vector-borne disease has been recorded at 46, eleven more than 2016. The report further said, that till 30th July 2016, the dengue cases reported were 16,870, while this year in the same time period the number rose to 28,702. Last week especially proved to be rather critical one, with 2,536 cases with 10 deaths. 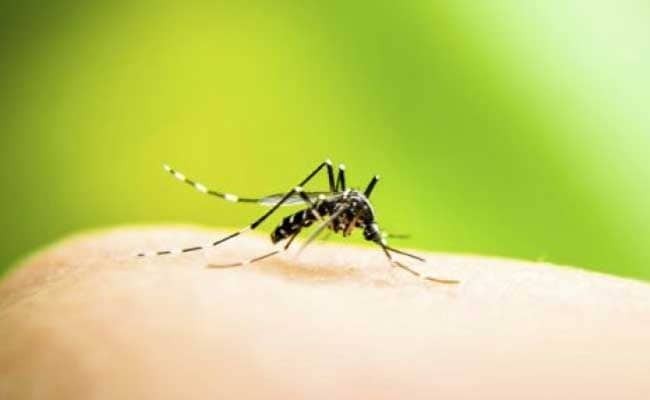 Kerala reported the maximum dengue cases with 13,913 cases, followed by Tamil Nadu with 5,474 cases, Karnataka with 4,186 cases, Andhra Pradesh with 798 cases, West Bengal with 571 cases and Maharashtra with 460 cases. The capital registered 237 cases out of which, 118 are from the national capital while 119 cases are from adjoining states. The National Vector Borne Disease Control Programme also came out with statistics on chikungunya, another vector-borne disease which saw a steep rise last year in Delhi. Overall, till July 30, 2017, India has seen a total of 18,466 cases of chikungunya - a whopping 45,591 cases less than last year. In 2016, India registered a total of 64,057 cases of chikungunya, with Karnataka topping the list with a total of 15,666 cases of chikungunya, and Delhi in the second highest spot with 12,279 cases. Till July 31, 2017, Delhi has seen a total of 220 cases of chikungunya. Since the monsoon season is generally considered to make us more vulnerable to infections and diseases, here are few foods that may make your immunity stronger and protect you from seasonal ailments. The juice of papaya leaf is believed to be a traditional remedy to counter dengue fever. Bangalore-based nutritionist, Dr. Sheela Krishnaswamy says, "Studies have proved that papaya leaf contributes significantly in the production of platelets and increase the platelet count." Giloy is a very important herb in Ayurveda. It helps in maintaining your metabolic rate, strengthening the immune system and protects your body against infections, explains Dr. Gargi Sharma from New Delhi. She recommends that you boil the stems and serve it as a herbal drink. You can also add few Tulsi leaves in the drink for its anti-bacterial and anti-microbial properties. Dr. Simran Saini suggests that you must drink a concoction of boiled Tulsi leaves with two grams of black pepper to build your immunity. This drink also has an antibacterial element. These leaves are known to reduce fever and act as a sedative to ease pain. You can soak the leaves in water overnight and then drink it the next morning. You can even add some methi powder to water and drink up to reduce instances of inflammation in the body. Dengue patients should drink plenty of fluids to flush out the toxins . Coconut water is full of essential minerals and electrolytes. It also helps regulate the fluid levels in the body. Acidity and Bloating: Ditch Those Antacids And Try These Quick And Simple Home Remedies Now!